There are the Parises and the Londons of the world, the incredible cities to visit, to take in the sights, see the architecture, and learn the history, the known commodities, the ones featured in movies; all of which we love. Then there are the places that are off the beaten path, the ones you only know of because you learn of the tucked away place from someone else. Axim is one of those places for us. Just a short drive across the border into Ghana, its a picturesque and relaxing venue. 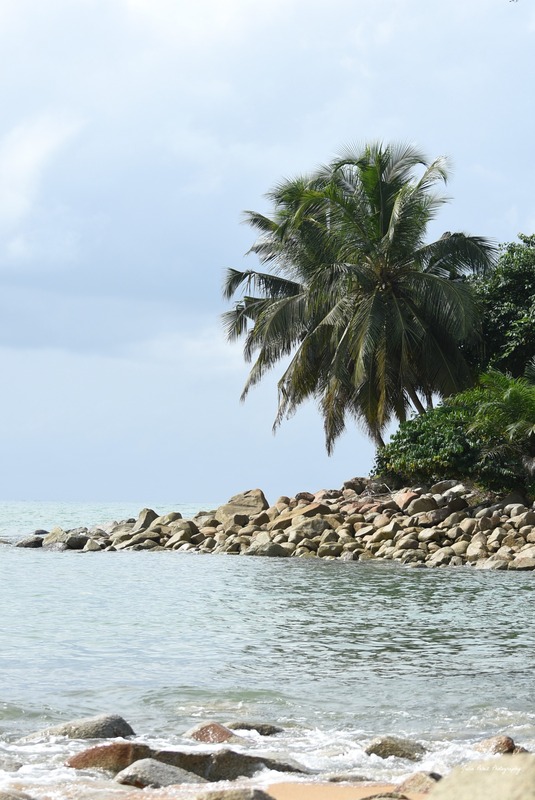 A place to get even farther way from the hustle of Abidjan. The lodge (Lou Moon Lodge) is a secluded piece of perfection. For me, there is a happiness that befalls me when I arrive, when I listen to the crashing waves, and when I feel the sun as it passes through the palm trees and a sadness when its time to leave. Sure we’ve been to beaches before but this place does not compare to any we’ve been to thus far. I’m sure the company we’ve had on both our trips to Axim has played a big part in it as well. Nonetheless it’s a place I will miss but know we will try to come back to again. As we travel and meet others, we love to ask about these off-the-beaten-path spots that have evoked the same reaction for others, adding them to our growing list of places to visit. 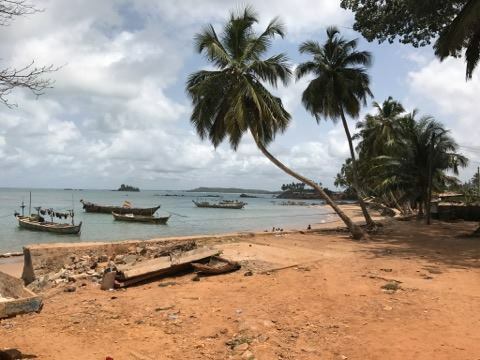 As you explore this piece of Paradise in Ghana, you can see boats floating by with fisherman bringing in the mornings spoils, chow down on a delicious grilled lobster, or wading around in the calm waters of the cove. 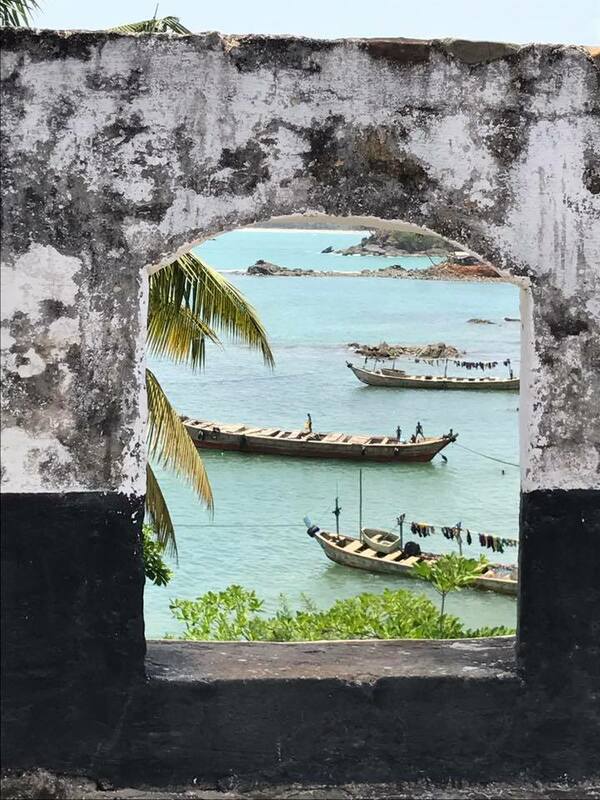 In town, you can navigate the small busy roads for a slice of life in Axim which lead you to Fort San Antonio. The beautiful view looking out into the Gulf of Guinea is such a contrast to the history housed within the Fort. A location which was part of the slave trade offers a brief look into the atrocities of generations past. As you look out at the teal-colored water, your guide explains the point of no return which led underground to the island off in the distance. On the opposite side of that island, slaves would board ships out of view of the town. The contrast offers a chance for reflection, understanding, and hope. Reflection of what has been done between peoples, an understanding that this should not happen again, and a hope for a future of kindness and not a return to the past. 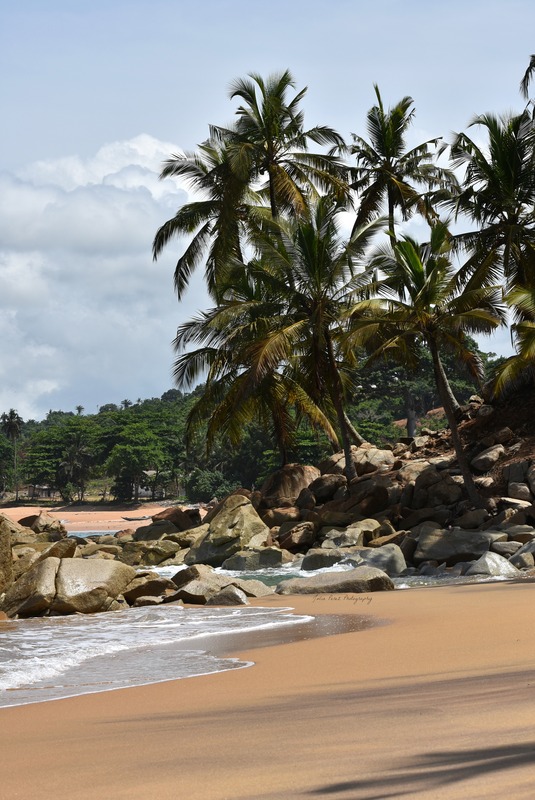 The trek may not be short from Abidjan or Accra, but the location is worth the distance. And along the way you can enjoy all else that Ghana has to offer. We’d love to hear about the places that have left you with the same feeling. Help us increase the number of destinations we must see!